Toronto Mennonite Festival | September 21, 2019! 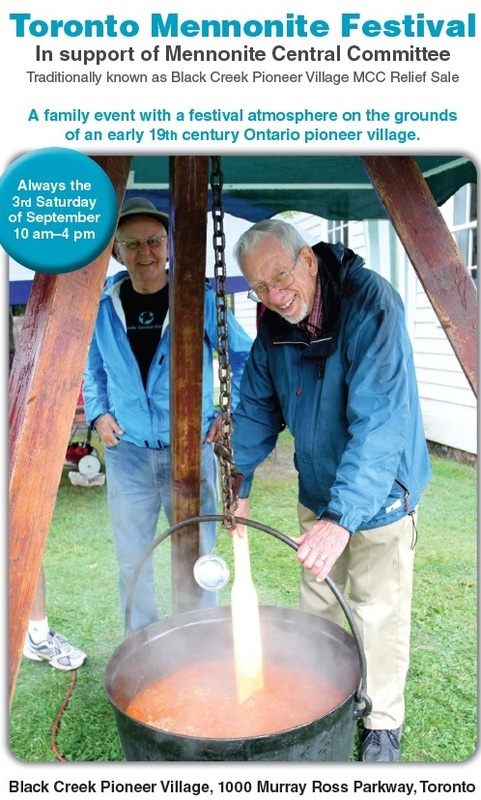 An annual event on the 3rd Saturday in September – in support of Mennonite Central Committee! Why do we hold this annual event? This video about the 2016 Toronto Mennonite Festival explains in 45 seconds! What actually happens? This 2017 Facebook video shows a day on the village green. It will be another VERY SPECIAL celebration.